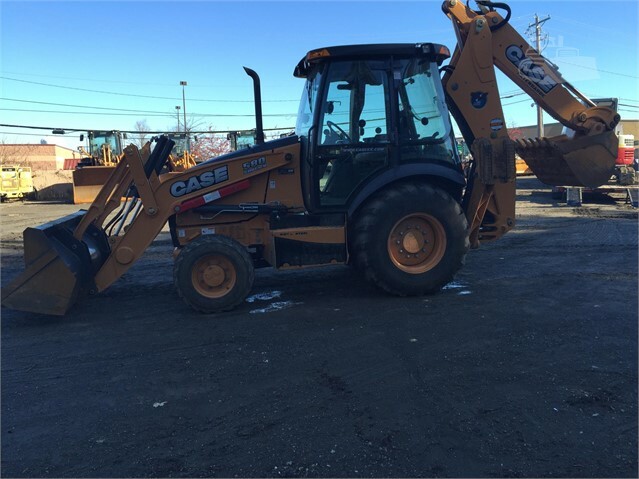 Today’s blog post is the first in a new series covering basic maintenance tips for heavy equipment. 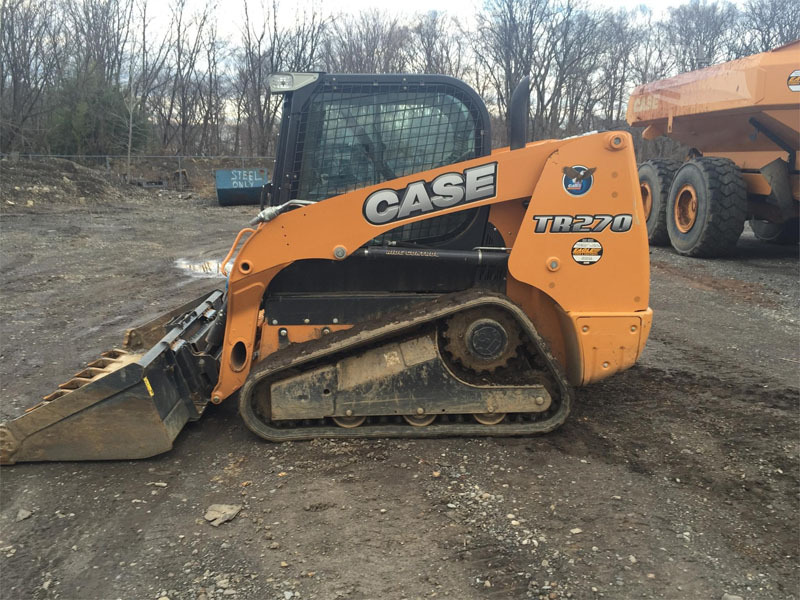 The goal is to save you downtime and repair expense by helping you keep your team informed about properly maintaining your heavy machinery. First in this series: wheel loader maintenance. First of all, daily inspections alert the operator to potential breakdowns before they happen by revealing signs of wear and tear. 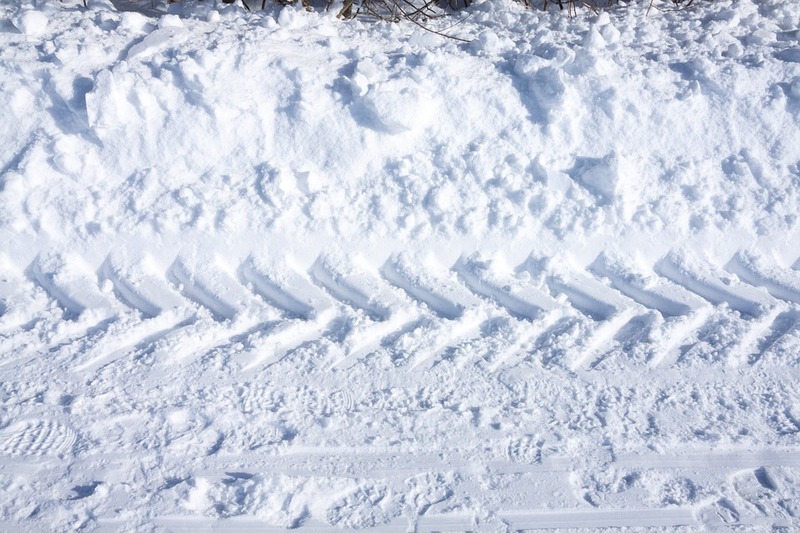 The operator should check all fluids and do a visual check of tires, belts, and safety equipment. 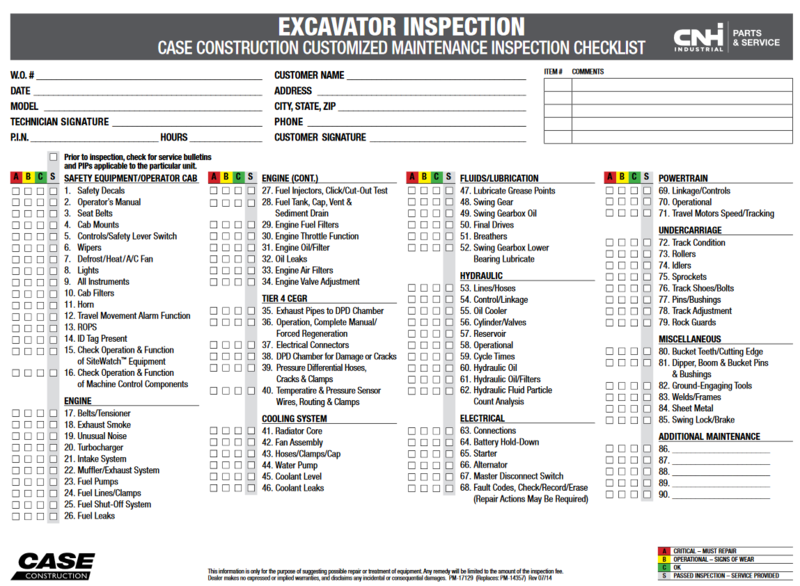 Pre- and post-use inspections provide an extra layer of safety that only costs a few moments each day. Next, periodic maintenance by service personnel should be scheduled and performed without fail. Of course, it’s a good idea to keep records of all maintenance. Such records will prove to be invaluable, whether you’re evaluating the service life of your machines or trying to sell the equipment back to a dealer. 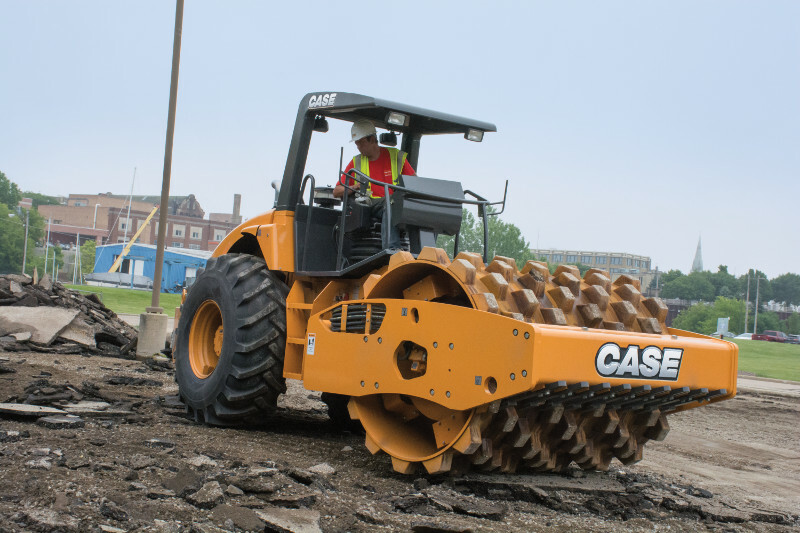 Another thing to consider is that operating your wheel loaders in harsh environments, or for extended periods, will require more frequent maintenance. 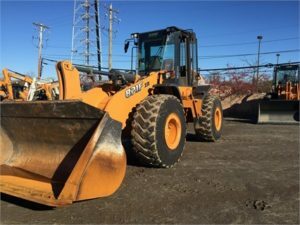 If your operators are properly trained, they can help limit damage to your wheel loader, and will be more equipped to handle issues when maintenance items come up. 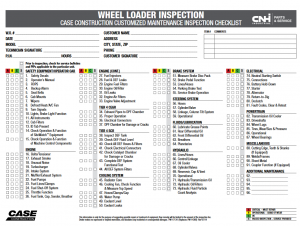 Case Construction has put together a comprehensive set of maintenance charts for wheel loaders and other equipment that we’ve made available on our website. These provide guidelines for what service points to check at what intervals, including fluids, filters, belts, grease fittings, and various adjustments. If you have any questions, or require service and repairs, don’t hesitate to call the experts at Eagle Power & Equipment at one of our numbers below. 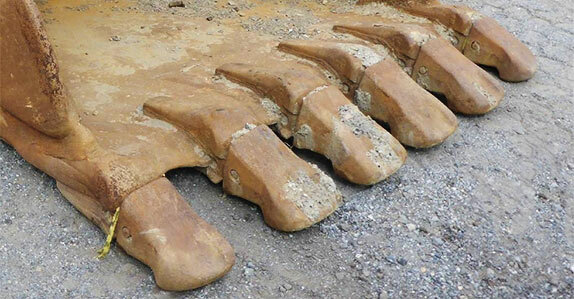 Posted in Maintenance Tips and tagged heavy equipment maintenance tips, inspection checklist, wheel loader inspection, wheel loader maintenance charts on February 27, 2017 by Eagle Power.